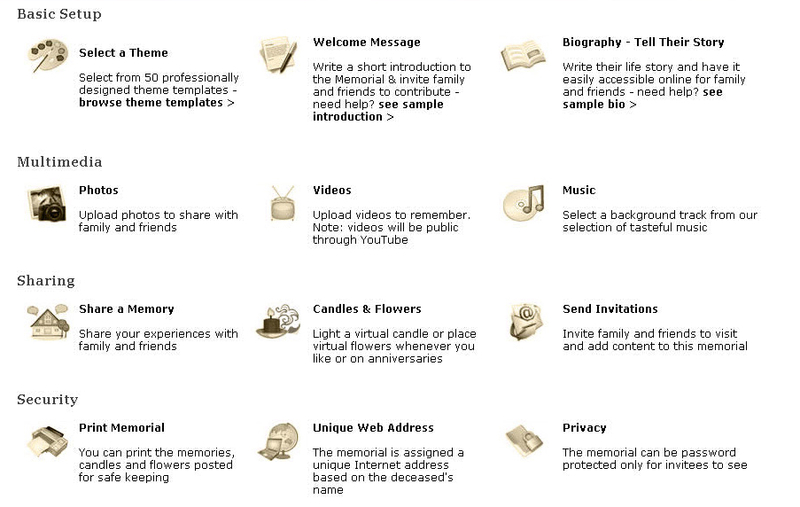 Add a digital component to your service package with online memorials. FuneralConnect will enable your clients to create attractive online memorials in minutes! The platform is based on memorialmatters.com – a leading online memorials provider that was featured on TechVibes, Canadian Business, Digital Journal, CARP.ca, The Digital Beyond and more. 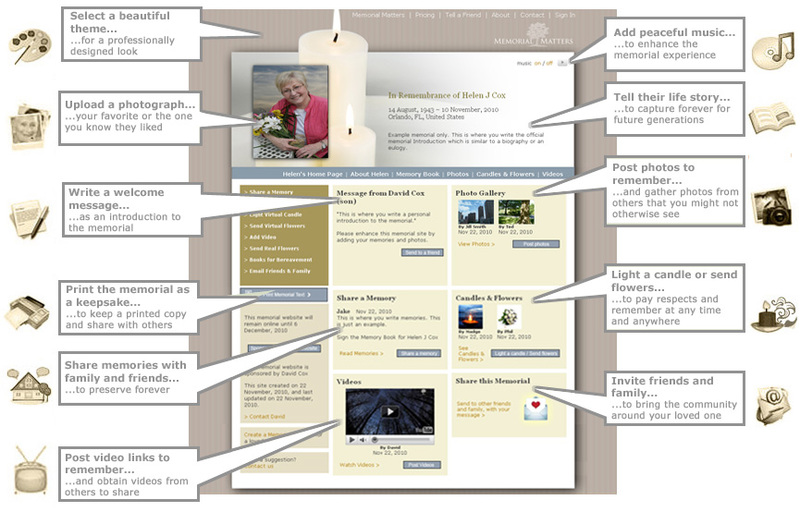 Following is a summary of the features and benefits of a FuneralConnect online memorial. We constantly update and improve the system and also add features. The platform also gets better with every client implementation. We charge a yearly fee to be available for maintenance and support as needed.